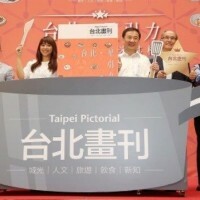 TAIPEI (Taiwan News) - Ten restaurants in Taipei have been listed among the 1,000 best restaurants in the world, according to the latest issue of the French food guide La Liste, which was recently unveiled at the Ministry of Foreign Affairs of France. 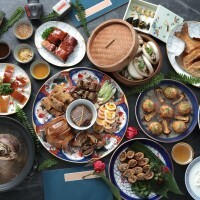 Three more restaurants from Taiwan have been added to the 2019 list compared to 2018. La Liste ranked Guy Savoy in Paris the best restaurant, which is followed by Le Bernardin in New York and Alain Ducasse au Plaza Athénée in Paris. 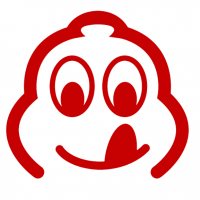 La Liste is an algorithm-based aggregator of food guides and reviews designed to rank the world's best restaurants. Trusted sources from around the world are compiled year round. Michelin-starred Japanese restaurant RyuGin Taipei stands out from its Taiwanese top-notch restaurant rivals with the highest score of 86.00. 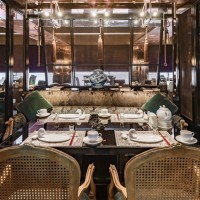 The other Taiwanese restaurants named in the 2019 list are all located in Taipei City, they are: Marshal Zen Garden in the Beitou District, French-Taiwanese fusion Toh-A' in Da'an, Cantonese restaurant Le Palais in Datong and the only 3-star winner in the 2018 Michelin Guide 2018, European contemporary restaurant MUME in Da'an, Really good Seafood in Da'an, Bencotto Italian restaurant at Mandarin Oriental Taipei, swankyYEN Chinese restaurant at W Taipei in Xinyi, Taiwanese fine-dining Mountain & Sea House in the Zhongzheng District, and Chinese restaurant The Guest House at Sheraton Grand Taipei Hotel in the Zhongzheng District. Located in the Zhongshan District near the Miramar Ferris Wheel, the Japanese restaurant RyuGin Taipei is a sister restaurant of RyuGin Japan based in Tokyo, while it features more local ingredients. Each set menu is priced at NT$6,500 (US$210). All prices are subject to 10%-15% service charge. Marshal Zen Garden was built under Japanese rule, and was made as a club for the Japanese military in the 1920s. After 1949, it became the location for the house arrest of Manchu warlord Marshal Zhang Xue-liang (張學良) when Chiang Kai-shek (蔣中正) brought him to Taiwan, according to justgola.com. The place was later transformed into a restaurant offering Chinese-style course meals and a tea house. The starting price for their set menu is NT$1,600 (US$52). All prices are subject to 10% service charge. Toh-A' is founded by a high-profile Cantonese chef William Bu (布秋榮), who served at the Hotel Grand Hyatt Hong Kong and Hilton Taipei. According to the description of Michelin Guide, the restaurant was restored from an 80-year-old Japanese house which received a facelift to become a rustic and atmospheric dining room. The restaurant prepares meals with a mix of classical French and Taiwanese techniques to surprise one's taste buds with its unique tastes and textures of foods. The starting price for their lunch set menu is NT$1,500 (US$29) and dinner set menu is NT$3,300 (US$107). All prices are subject to 10% service charge.